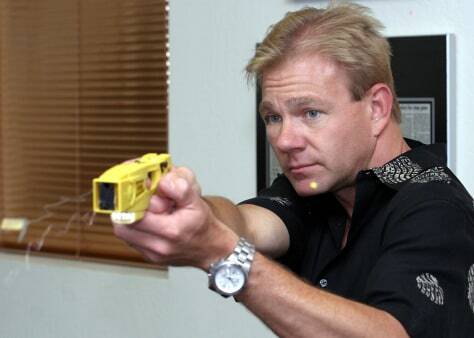 Steve Tuttle, vice president of communications for Taser International, test fires an X-26 stun gun, a model sold to police. A similar civilian model sells for $1,000. The speck near Tuttle's chin is one of several dozen "ID tags" released when the gun is fired.